We offer a comprehensive and effective exercise program for eliminating your pain, and giving you the freedom to live your life- without relying on continual or repeated care. Our exercise program not only trains the true "core" of your body (spine and the muscles and ligaments that support the spine) to be functional- it also is a great total body workout that will help to get you back into shape or add to your current routine! Please contact us if you are interested in our programs. 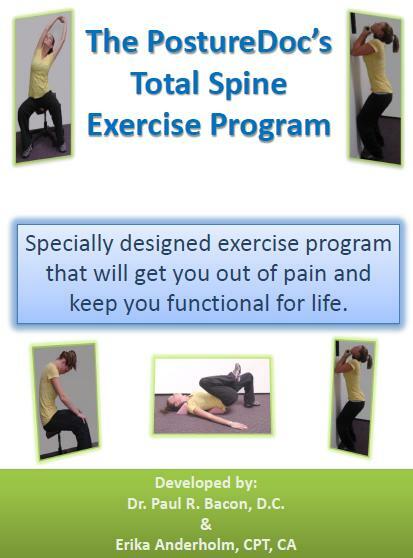 You do not need to be a Chiropractic Patient to access or benefit from the Total Spine Exercise Program. We will provide you with everything you need, and continual guidance and support to be successful, no matter where you are in the world!